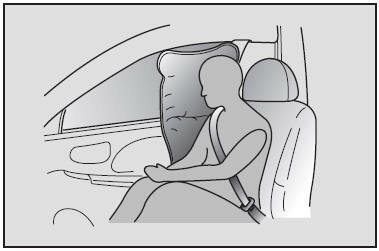 Your vehicle is equipped with a side airbag in each front seat. The purpose of the airbag is to provide the vehicle’s driver and/or the front passenger with additional protection other than that offered by the seatbelt alone. The side impact airbags are designed to deploy only during certain side-impact collisions, depending on the crash severity, angle, speed and point of impact. 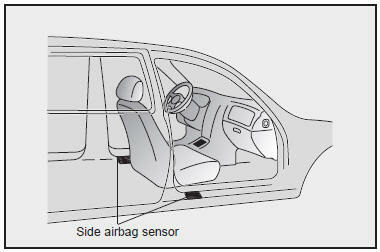 The air bags are not designed to deploy in all side impact situations. For best protection from the side airbag system and to avoid being injured by the deploying side airbag, both front seat occupants should sit in an upright position with the seat belt properly fastened. Side airbags are relatively new to vehicle design and the National Highway Traffic Safety Administration is still collecting data on their effectiveness. However, they can provide the most protection - and you can reduce your risk of airbag caused injuries - if you maintain a proper seating position. Do not use any accessory seat covers. Use of seat covers could reduce the effectiveness of the system. Do not install any accessories on the side or near the side airbag. Do not place any objects (umbrella, bag, etc.) between the front door and the front seat. Such objects may either interfere with the side airbag deployment or could become potentially dangerous projectiles.